2. 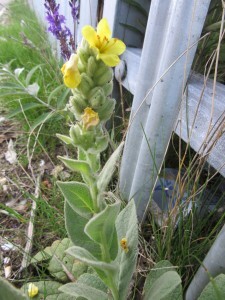 Mullein was known as Cotswold witch. [In the 1940s] it was plentiful in our garden and on our farm on the edge of the Cotswolds at Withington, near Cheltenham, though much rarer there now. My father and grandfather called it Cotswold witch. My father grew up on a farm called Wellacres at Blockley and another farm called Littlebarrow at Donnington, both near Moreton-in-Marsh. I don’t know whether or not the name is just local to one of these places. I never heard the plural Cotswold witches. It was known as Cotswold witch whether singular or plural. (In common with many other plants) [Edmonton, London, December 2015]. 3. 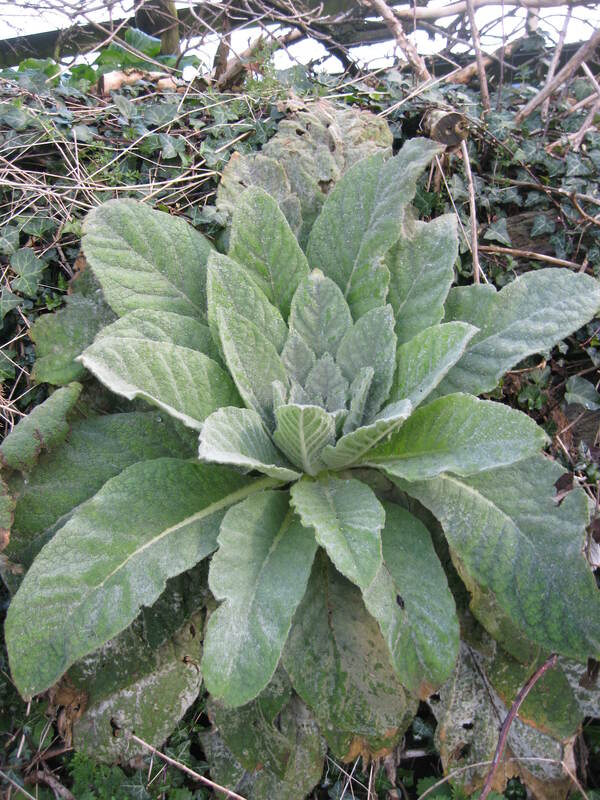 When I started school in the 50s … we used to find large leaves about the size of a large dock, I never knew their proper name, but they were velvety on one side, and we called them Jesus blanket [Capel, Kent, February 1998]. Images: South West Coast Path between Lymouth and Combe Martin, north Devon, March 2014; inset, Huntingdon, Cambridgeshire, September 2015.